Leelands lamb flank steaks are juicy and tender, and suit quick cooking on a barbecue hot plate, or in a ridged grill pan. That’s just what you want in hot weather! 1 Mix oil, mustard, garlic, thyme, bay leaves and black pepper in shallow dish. Pat lamb dry with paper towels and add to marinade. Marinate for 30 minutes, or longer in fridge (bring to room temperature before cooking). 2 Preheat a barbecue hot plate to medium heat. Add steaks and cook for 4 minutes, turn and cook the other side for about 3 minutes; don’t overcook – aim for medium-rare. Add smashed garlic to hot plate while the lamb is cooking, brown carefully, then transfer to a plate. 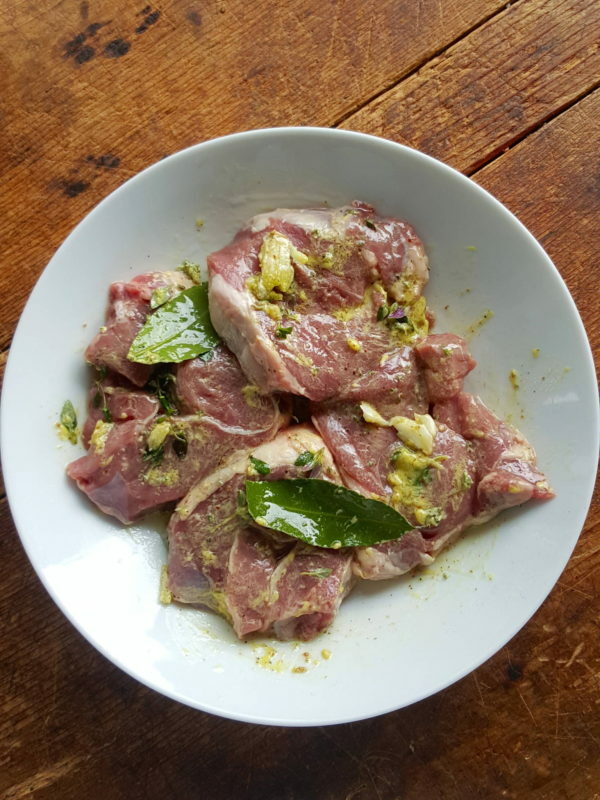 Transfer lamb to a chopping board when ready and sprinkle both sides with salt. Rest lamb for 5 minutes, or longer, before slicing. 3 Slice lamb thinly across the grain. Arrange on top of vegetables with crisped garlic and spoon over remaining dressing. Serve immediately. 1 Remove husks and silks from corn. Cook in unsalted water for 10 minutes, drain and drape with paper towels. Blanch sugar snaps for 1 minute in a saucepan of boiling water, drain and refresh with cold water. Pat dry with paper towels. Slice lengthwise. 2 Whisk oil, vinegar and salt together in a bowl. Add black garlic and canned beans and toss. 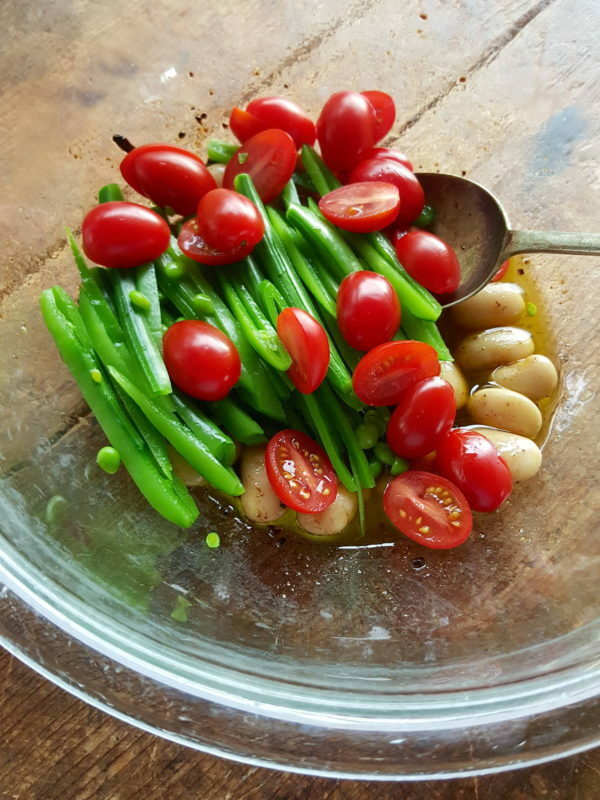 Add sugar snaps, tomatoes and basil and give a gentle toss. 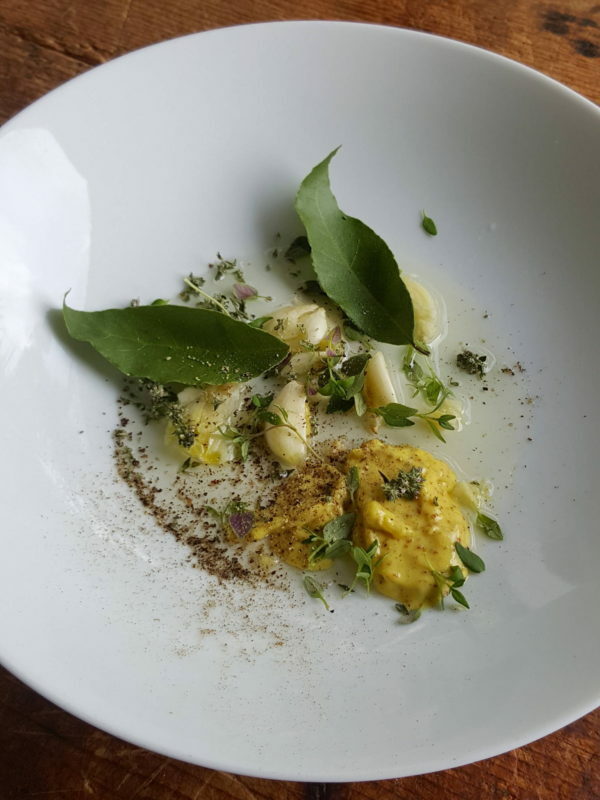 Divide vegetables amongst plates, leaving a puddle of dressing in the bowl. Slice kernels off cobs in long strips and arrange on top of vegetables. Top salad with sliced lamb and barbecued smashed garlic and drizzle everything with remaining dressing. Serve immediately. Here’s how to make prime lamb go a long way and to serve it in a spectacular summer dish. Leelands lamb flank steaks are juicy and tender, and suit quick cooking on a barbecue hot plate, or in a ridged grill pan. That’s just what you want in hot weather! The trick is not to overcook the meat. Stop cooking once it is medium-rare and transfer to a plate. Season with salt and rest it for 5 minutes before slicing thinly with a sharp carving knife. 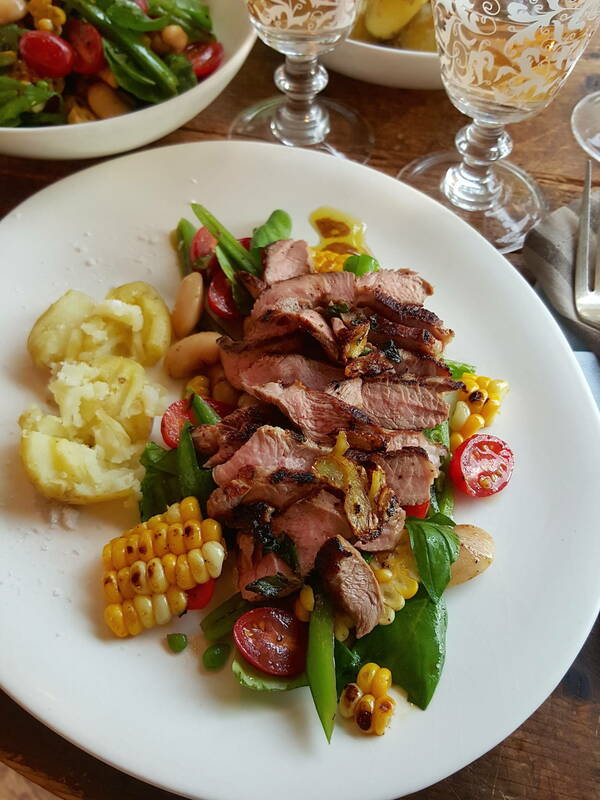 You could also use Leelands lamb leg steaks in this recipe. They are usually cut a little thicker than flank steaks: cook for 4 minutes, then 3-4 minutes for the other side. Also, add an extra ½ tablespoon of oil to marinade. The corn can be charred on the barbecue for extra flavour. 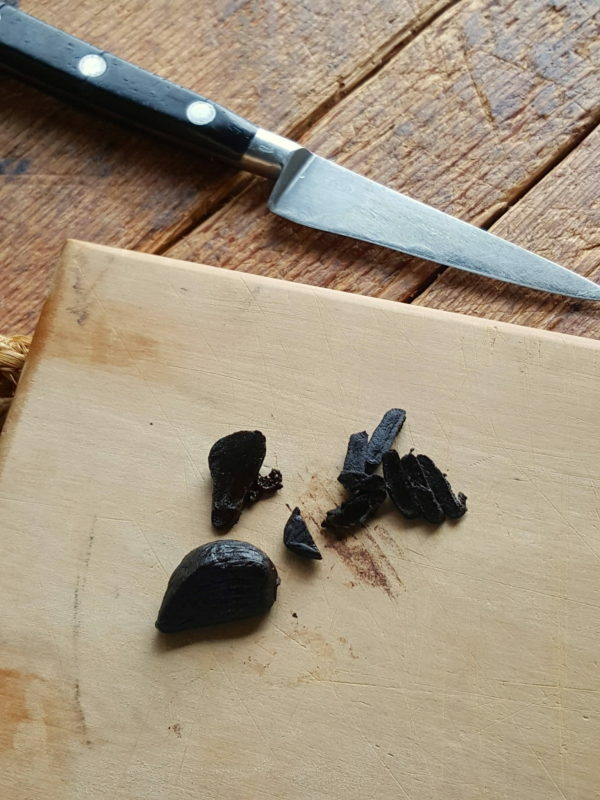 Black garlic is a unique product. Garlic cloves are slow-cooked for 4-6 weeks resulting in pitch black cloves with a slightly sticky jam-like consistency. Although it looks like liquorice, it doesn’t taste like it. It’s very savoury, high in umami tastes, with flavours ranging from prune to balsamic vinegar, and sweet plum to smoky bacon. It is sensational in this salad.